For Australian homeowners, winter heating costs represent a significant expense. In fact, according to estimates, heating costs account for about 40 percent of an entire homeowners yearly energy bill in Australia. In other words, improving your home’s efficiency can lead to significant cost savings. How? Tasks like sealing windows, improving insulation, or generating heat with an alternative heat source – like a European fireplace – can all help homeowners reduce their reliance on traditional electricity-fired heating sources. From installing a wood fireplace to sealing windows, doors and attics, homeowners can realise savings quickly with these low-cost investments. A fireplace serves as a supplementary heat source in larger homes. And it’s one of the fastest ways to reduce your heating bill. Here’s why: A fireplace enables you to use zone heating. In other words, the fireplace will be sufficient to heat specific areas of your home, reducing your overall reliance on a traditional heating system. But not all fireplaces are created equal. European fireplaces, for instance, are designed for high efficiency. They require less fuel to create heat, they burn fuel more efficiently, and they use heat sinks to provide radiant heat. 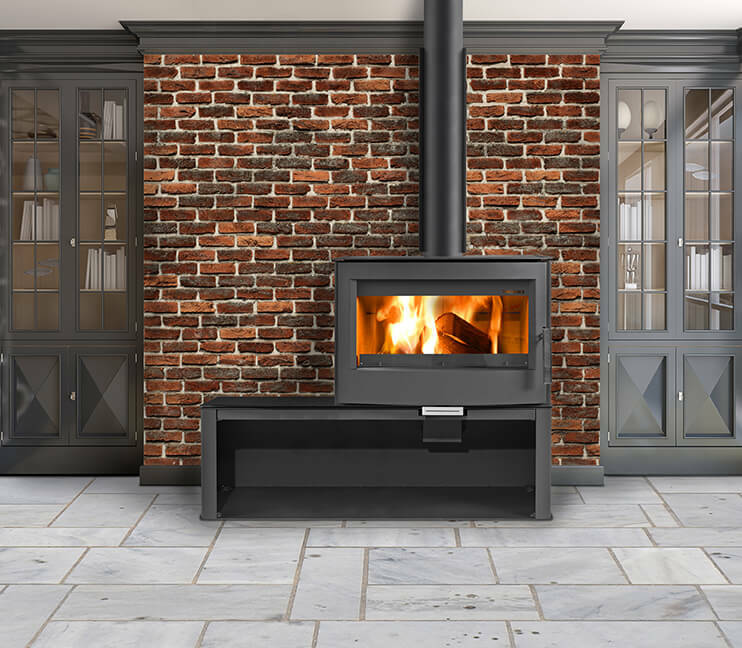 A high-efficiency fireplace will cut costs further compared to a conventional wood-fired stove. Windows and doors can be the source of draughts, which leak valuable heat from your home. A few low-cost solutions are available. First, inspect the window’s seals; resealing windows with caulking can help to prevent heat loss. Additionally, installing heavy curtains can help to limit heat loss, and plastic films can also help to add a bit more insulation. Heat Packs are materials that absorb heat, and release it slowly over longer periods of time. A lot of the heat you generate can be lost. But by using heat-absorbing materials in your interior design, like a natural stone fireplace, you will capture heat and effectively slow its release over time. Old, inefficient insulation can greatly impact your yearly energy bill. A cost-effective solution: Replace old insulation in your home’s attic and crawl spaces. Improving insulation will also help to retain the heat created by a fireplace or heater. Utilising smart home technology can help you better monitor energy use, manage heating remotely, and determine areas where you can cut energy costs. Smart home technology will also allow you to automate on/off of lighting and temperatures, which can shave dollars off your annual heating bill. Installing solar can be expensive. But hot water heaters require a much smaller solar power systems, which will help to limit installation costs while reducing overall electricity use. This winter, set yourself free from your energy company. Make your home more efficient. Whether you plan to install a wood-fired European fireplace, or plan to reseal windows and doors, a few low-cost investments can help you reduce your heating bill. Let us help you realise your energy saving goals. European Fireplaces is Australia’s premier Euro fireplace distributor and installer. We import some of the world’s most efficient fireplaces and install them throughout Australia.